Baegundae Peak of Bukhansan National Mountain Park is the highest peak in Seoul area. Gives you the best panoramic views of Seoul! Baegundae is one of the three peaks which is collectively called ‘Samkaksan’ meaning three mountains. Various groups had been pushing to change the name into this, but nothing has happened yet. After my hikes in other mountains (Wonhyobong, Jaunbong, Namhan Mountain Fortress), I have decided to keep hiking more mountains. (And secretly I am telling myself to climb all famous mountains in Korea and document my experiences here!). It would take around 3 to 4 hours to hike the peak. 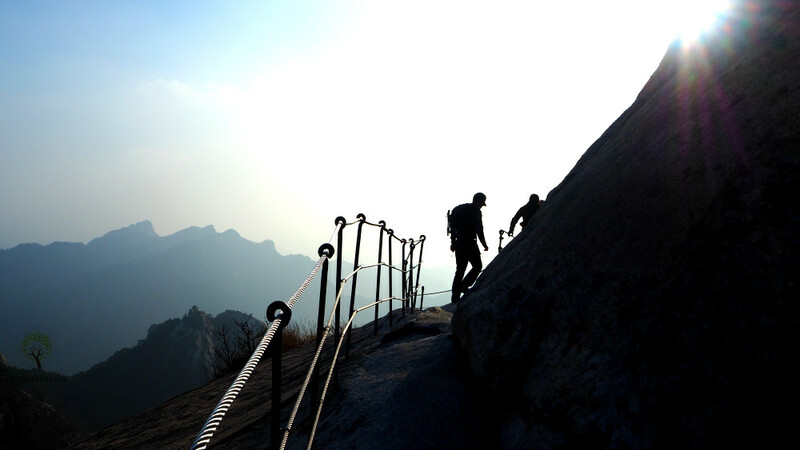 That means reaching the summit and returning to the main entrance of Bukhansan National Park. What you Can and Cannot Do in the mountain? The hike looks easy as there stop steps (some natural) laid along the trails. This makes it easier for most hikers. 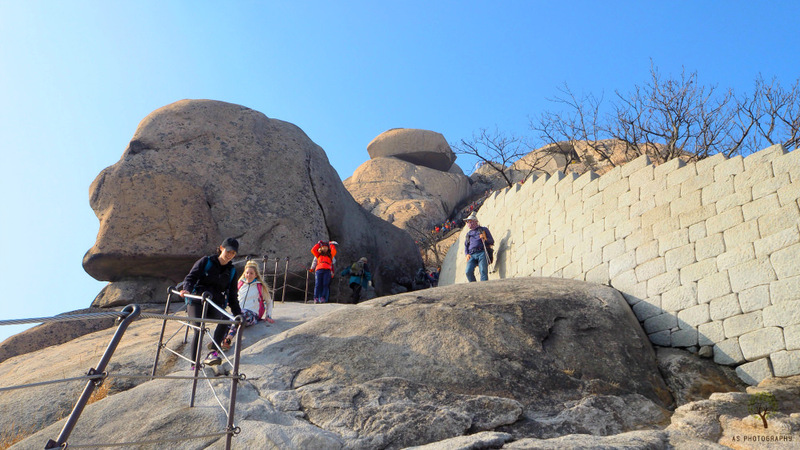 However, since the ascent is quite steep, reaching the summit of Baegundae Mountain is not advisable for everyone or all ages. I reckoned that it should be for everyone who is used to climbing or hiking mountains. But I would not advise kids under ten years of age to hike any of its trails. Most hikers, as I have observed, were between 14-15 and 65-70-year-old non-disabled people. 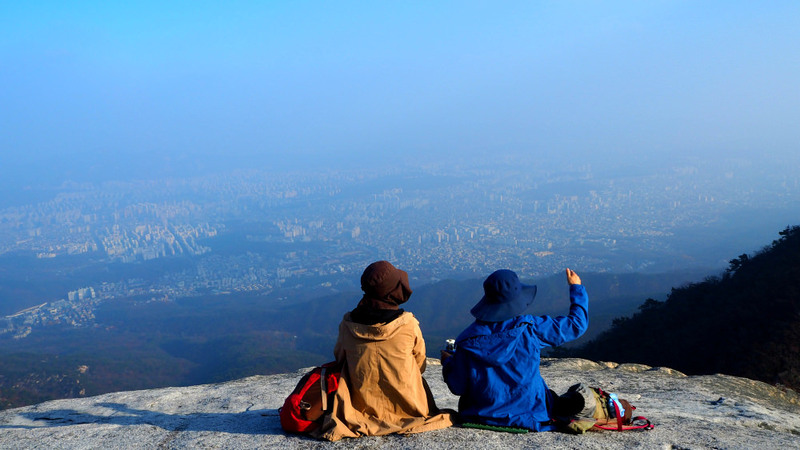 Baegundae Peak is not only a regular hike and favorite mountain among locals but also foreigners and tourists alike. 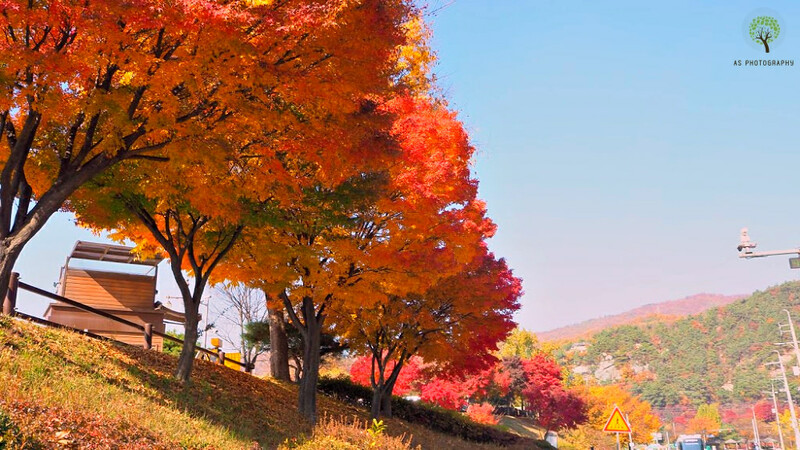 TRIVIA: Bukhansan National Park is listed in the Guinness Book as the “Most Visited National Park per Unit Area.” There are around 5 million visitors each year at this park. As you can see in the photos, you would already get excited to hike. As I took these photos during Autumn Season, the mountain should look entirely different when clad with white and virgin snow during winter season. As I have not hiked Baegundae Mountain during the winter season, I couldn’t say anything but only imagine its white color sparking under the sun or daytime. I honestly do not know if the mountain is open for hiking during winter. According to the advisory, mountains like Baegundae could be close especially during heavy snowfalls and when it is dangerously slippery to hike. If you want to do that, please make sure you contact or read the mountain park in charge (below this page). During Season Season, the mountainside will be bedecked with colorful blooming flowers of (mostly yellow, lavender, white). The flowering plants take their turn in blooming flowers – some early bloomers, mid-spring bloomers, and some late bloomers. Yes, you can observe various colors depending on the timeline of Spring Season. The good thing about summertime is that all the plants and trees are lush and verdant. You will see the mountain cloaked in green color, except for the bare rock faces of the mountain(s). Bring lots of water to replenish when you do hike during this time. Korea is humid and really hot! However, you can cool off yourself a bit as there are streams and falls along the way. It is one of the best things you will find enjoyable while hiking and making stops while ascending. I am writing this page for this season as I hiked Baegundae Peak this Autumn. I am happy that I did not only because I hiked it for the first time (successfully) but also because I took loads of amazing photos (at least for me!). I am happy with the outcome – colorful leaves, perfect temperature to hike. Like many of the Korean mountains, especially the popular ones, are well-managed and have facilities ready for hikers’ needs. Near the main entrance(s) of Bukhansan National Park, you will see maps and other forms of directions that are useful for your initial (or final) target destination. You will notice small poles with red color and emergency number: 119. In case of accidents or emergency, stay in this area and make your call. Baekgundae's Baek Won Bong Am-Mun (Gate). 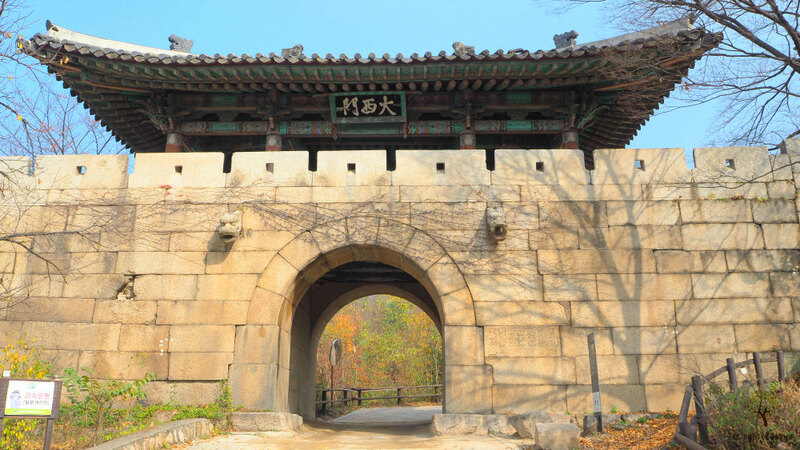 Turn to your left to reach Baekgundae's summit as you pass through the gate. Preferably, you should wear a comfortable pair of hiking boots or mountain shoes. These will ensure that your feet are protected from shard stones, rough edges, twigs. Some wear hiking or sports shoes but definitely not sandals (you could hurt your toenails or foot by rough and sharp rocks/stones. 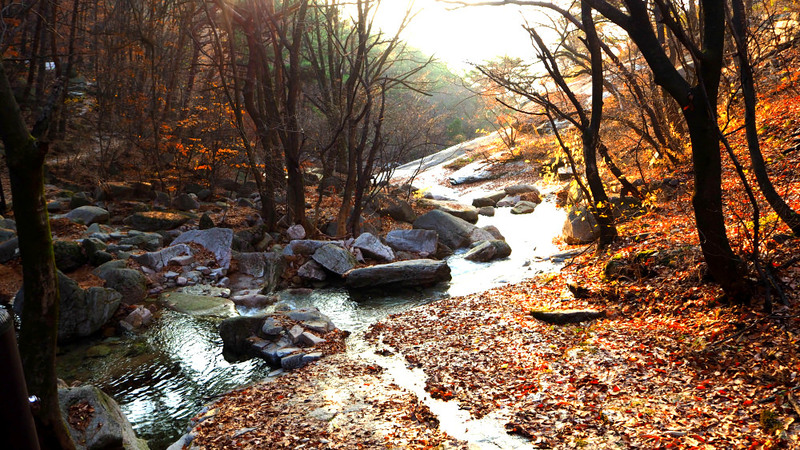 However, definitely, Baegundae is a great place or mountain to have a serious exercise. This is almost a climbing experience and definitely more than hiking, and more energy consuming than brisk walking. Taking photos anywhere in the mountain is allowed (some mountains, especially near the borders between North and South Korea, or close to the Blue House, is prohibited). 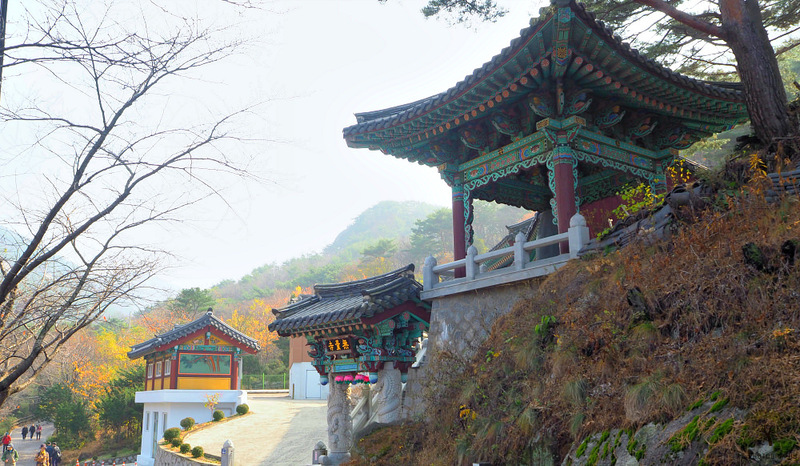 The scenery from the mountain tops and the overlooking views of Seoul and the surrounding areas is astounding. The mountains beside Baegundae are also fantastic, you can notice above (Insubong and Mangyondae Mountains). 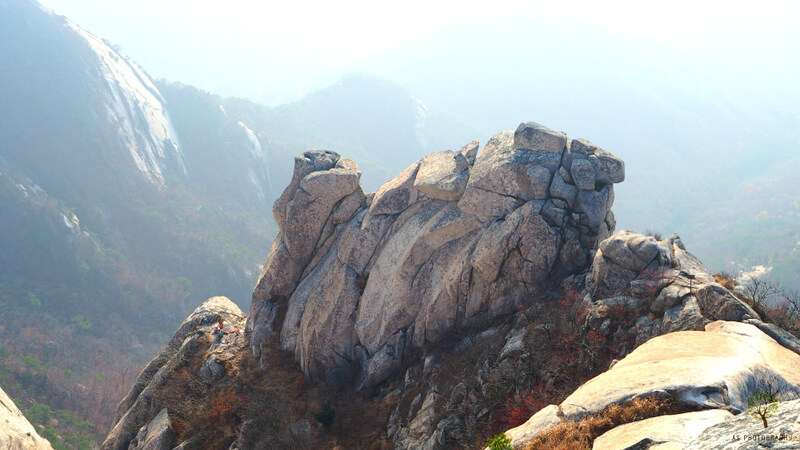 A Shih Tzu rock formation in Baegundae! Besides, you can photo shoot, but you need to pay the government. If you are filming a movie, drama, or anything with commercial value, you need permits and render payments. Whether you can reach the summit or only at the lower level, you can enjoy the ambiance, environment, and everything there is in the mountain. I noticed families, friends, colleagues, enjoying their lunch or snacks everywhere. A group of friends even celebrated one of their friend’s birthday on the top of Baegundae with innovative cake (a pile of Choco Pies topped with a lighted candle). Bringing up food and drinks to the top is allowed. Except for the alcoholic beverages as many accidents occurred in the past. Of course, you are strongly advised to bring back with your garbage and disposed of properly, or you will pay charges if caught. Along the way to the top, you will find resting areas. Some are provided with tables and sits. Some are only flat grounds with rocks where you can sit on. 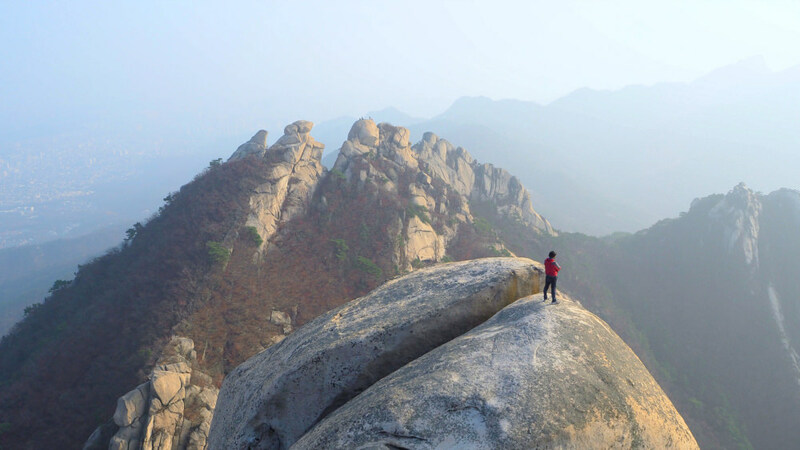 Some hikers rest (eat or take a nap) on top of enormous rock or boulders with flat surfaces. Most Koreans are equipped with mountain gears including mats or lightweight folding sits. You can wash-up with cool spring, stream, or brooks water. You will find this as you ascend along the way. I would say that some hikers will even take a bath on it during summer time. If not, you can simply sit beside and dip your feet in the refreshing stream. These things are not allowed. You will see big signs (signboard) specifically mentioned such prohibited activities while hiking Baegundae. Drinking (alcohol) Prohibition was enforced on March 13, 2018. Just guessing that you are getting interested in getting there. So, please see the following simple guide that can bring you to the entrance area, the closest one to Baegundae Peak. One of the most simple and relevant questions. Yes, getting to Baegundae is not difficult once you are in somewhere in Seoul or near Seoul where you can take the subway. You can get faster close to the park by taking a subway then a bus to its entrance. Subway: Take any subway that will bring you to Gupabal Station (Line 3). Get out from Exit 1 and make a U-turn to your left to find a bus station (around 20 feet away). Take a bus 34 or 704 and get off at Bukhansan Fortress bus stop. There is about six stop which only takes approximately 15 minutes. Don’t worry as the stops are announced in both Korean and English languages. Dae Seo Mun (Great West Gate). 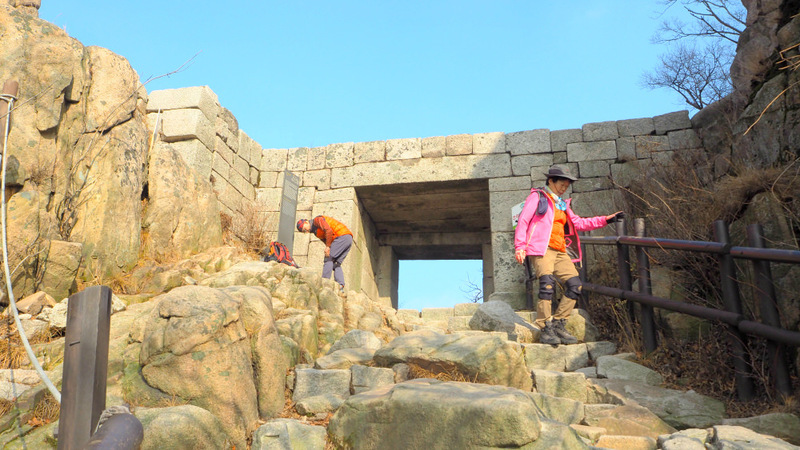 When you see this gate you are on your right route to Baegundae Peak. Entrance Fee: NO entrance fee to this mountain. This was waived some years ago. 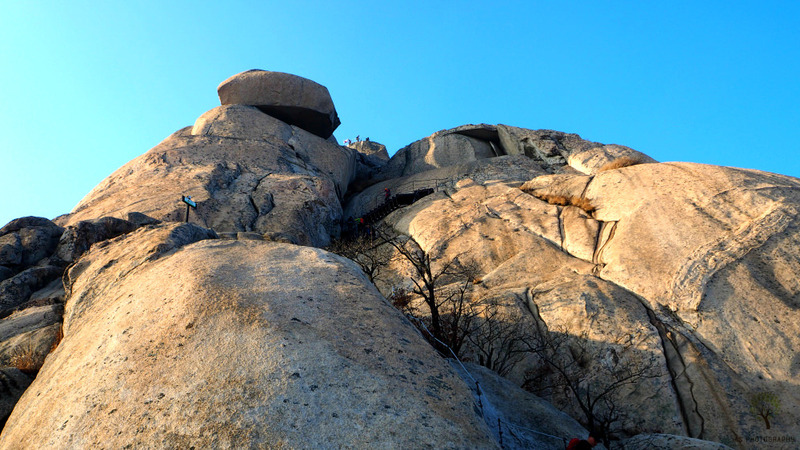 If you are interested to learn more about Baegundae Peak (or Bukhansan National Park), you can continue scanning the related articles on this website. Alternately, search the national park’s website. However, you will only learn some facts but limited with experiences details. Please, share or ‘like’ or forward this page if you find it helpful in your search. Would be very happy for returning the favor ^^! Of course, would be very grateful if you subscribe or avail useful offers on this page and website. Please, if you have questions, feel free to email me if you have questions or clarifications to make. Would be glad to hear from you any comments or suggestions. Thanks again for visiting this page.